Great news for children in Malta! SOS Malta are now able to operate their online service kellimni.com around the clock. A Maltese NGO, SOS Malta, is now able to operate the online chat service Kellimni.com on a 24/7 basis after receiving funding of over half a million euros from the Maltese Ministry for the Family and Social Solidarity over a period of three years. The service is provided jointly by SOS Malta, social services (Agenzija Appogg), youth services (Agenzija Zghazagh) and the Salesians of Don Bosco. To get in touch with a professional or trained volunteer, children and young people can either download the Kellimni app to their smart phones or go to kellimni.com. There are options to get support via email, direct chat or smart messaging. According to Claudia Taylor East, CEO of SOS Malta, there are only three similar services around the world. 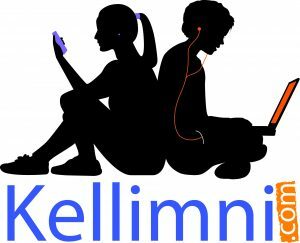 Children and young people can either download the Kellimni app to their smart phones or go to kellimni.com. Making sure that child helpline services are easy to access and that someone is available to listen when children and young people are asking for support is an essential part in making sure that no child is left unheard. This is a great step in the right direction. The article that this story is based on was originally published by TVM and reported on by Maria Muscat. The link to the original article can be found here.